Students in the Contemporary Cuisine classes prepared the food for the meal, demonstrating their understanding of knife skills, preparation techniques, cooking procedures, sauces, seasoning, garnishing and plating in the entree and side dishes. 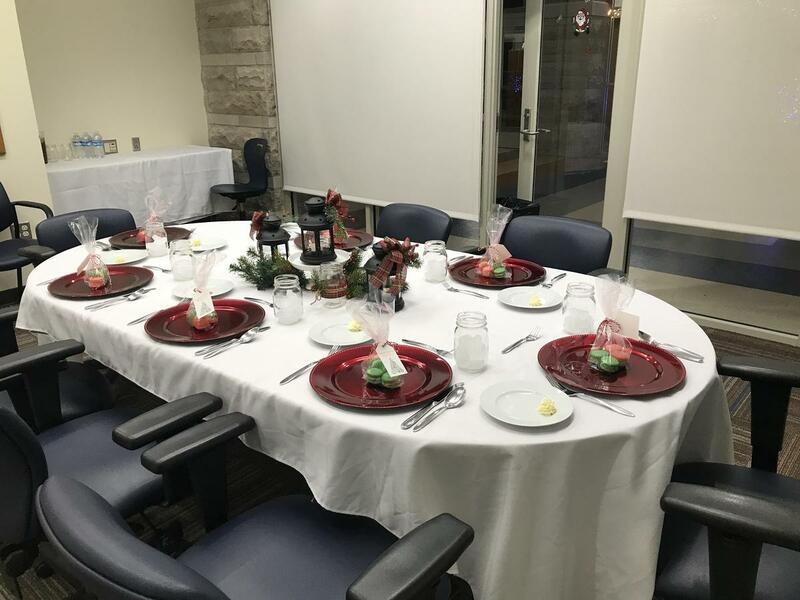 Students in the Baking and Pastry Arts classes also prepared food for the meal, showcasing their understanding of yeast bread production, dessert sauces, foams, chocolate, plating, piping and garnishing in the rolls and dessert. 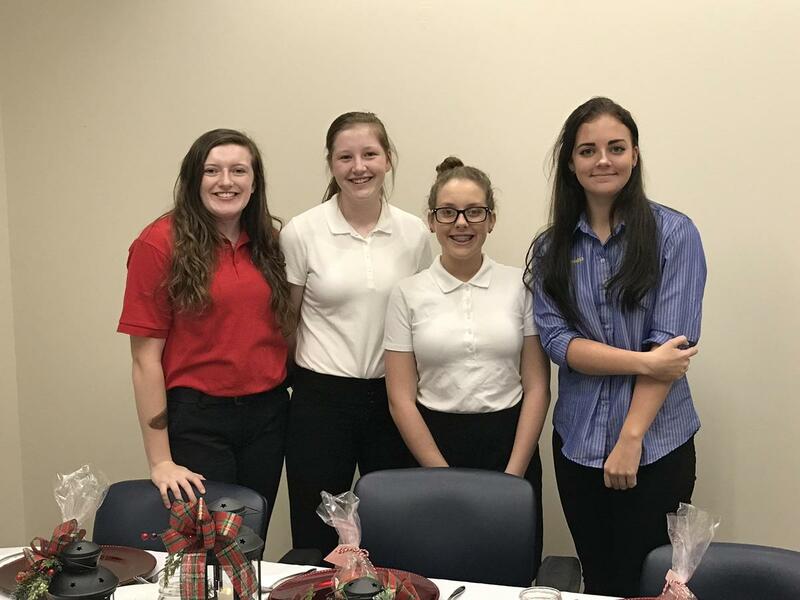 As part of the Culinary Arts Program, students participate in Family, Career and Community Leaders of America (FCCLA), which provides students with service learning, leadership skills and competitive event experiences. 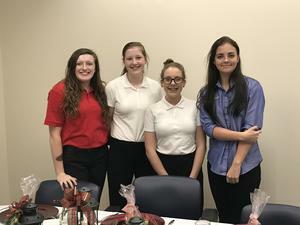 Each year, students in the Ag Ed program raise chickens in the school animal lab to conduct research related to course curriculum. 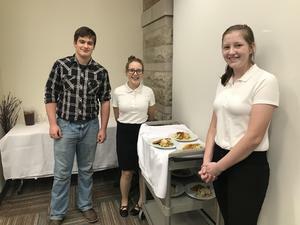 The chickens that were used for the dinner were part of a protein feed trial conducted by the Agriscience classes. 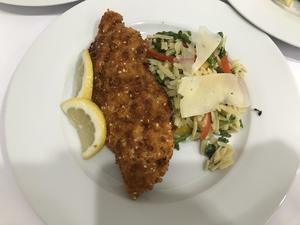 In the feed trial, 40 chickens were broken into three groups, with each being given a different amount of protein in their diet. Students analyzed the average growth of each group of chickens to learn first-hand about the impact of protein on an animal’s growth. As part of the Ag Ed program, students participate in the FFA, which provides opportunities for personal development, community service, and growth as leaders.